Aviation authorities throughout Europe ordered the grounding of the jets Tuesday in the wake of Sunday's crash of a 737 Max 8 jet operated by Ethiopian Airlines that killed all on board. It was the second deadly crash of the 737 Max 8 plane in less than six months. 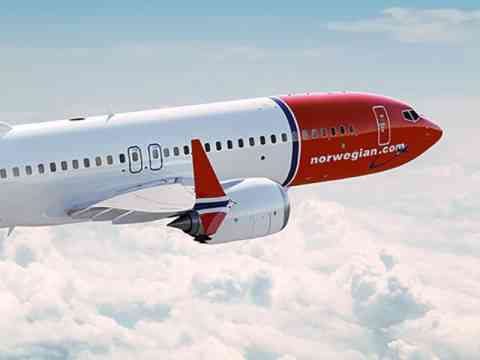 "It is quite obvious we will not take the cost related to the new aircraft that we have to park temporarily," said Norwegian CEO Bjørn Kjos in a recorded message to customers. "We will send this bill to those who produce this aircraft." Kjos apologized to customers affected by the grounding of the planes and said passengers would be taken care of by combining flights, reallocating aircraft and rebooking customers on other airlines. He said Norwegian lost just 1% of the airline's seat capacity because of the grounding, and he hoped the planes would be back in the air soon. Aviation authorities in most of Europe as well as Australia, Indonesia and China have barred the planes from their airspace. A growing number of airlines have also announced they won't fly the planes until they know what happened in Sunday's fatal crash. Boeing paid an undisclosed amount to airlines affected by a 2013 grounding of its 787 Dreamliner jets after some of the planes' batteries caught fire. It said the cost of that grounding was "minimal."